More and more people in the UK are choosing to sell their house via an online estate agent rather than going down the traditional route of using a high street agent. The reasons for this are simple, most people want to save money by avoiding hefty commision costs. One question that would-be sellers often have, however, is ‘Who does the viewings when you sell your house online?’ Does your chosen online estate agent take care of them, or do you have to do the viewings yourself? Let’s answer that question for you. 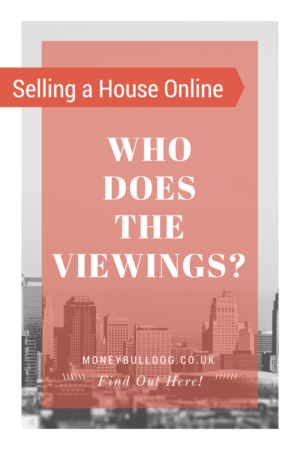 Who does the viewings when you sell your house online? The simple answer to this question is that it depends which online estate agent you use and also how much you are willing to pay upfront to sell your house online. With most online agents, hosted viewings – where the agent takes care of the viewings on your behalf – will not be included in the standard fee they quote on their site. You will often have the choice to select them as an optional extra for an extra fee, however. How much you will pay for this will vary from agent to agent and some will also give you the option of doing some of the viewings yourself to save money and only paying the agent to do a viewing for you if you are unavailable for any reason. What we can learn from this is that when deciding which UK online estate agent to use, it’s best to really look closely at what you are getting for your money in all aspects of the sale. It’s also worth looking closely at what optional extras are available, as some of them – such as hosted viewings or one-off hosted viewings – might actually come in useful. I know that most people who sell their house online do so because they want to save money, so it can be tempting to just skip over they optional extras page so that you don’t spend any more than you need to. My advice would be to avoid doing this and to instead think hard about what you are really looking for from the sales process and to then decide if paying a little extra money for a service such as hosted viewings might be worth the extra cash if it removes the potential fear or worry of having to do the viewings yourself. While I appreciate that some (perhaps most) people will be quite happy to do the viewings to save some money, for others this might put them off selling their house online completely, which would be a shame if you can resolve this issue for a one-off £300 fee. Would you feel comfortable hosting your own viewings when selling your house online or would you rather pay extra to have the agent do it on your behalf? Don’t Be Greedy When Selling Your House!